Which Reading Skills are Critical to Learn in the Ninth Grade? Many freshmen coming into one of Nashville’s top public high schools are competent and fluent readers, but have a hard time reading deeply, making ninth grade a challenging year. In general, English teacher Emily Moore said, nearly all of the freshmen she teaches at Hume-Fogg Academic High School -- a magnet school in downtown Nashville a few blocks from Music City’s famed honky-tonks -- have no experience in text analysis. Because of the advanced academics at Hume-Fogg, Moore and the team of English teachers have created standards that go above and beyond end-of-course exams and Common Core standards, and instead prepare them to take AP English in their junior and senior years. Their English standards are broken down into categories: analysis of fiction; analysis of nonfiction; writing and essay writing in general, covering almost exclusively analytical writing (a big shift from middle school); vocabulary acquisition (a schoolwide program); and universal concepts in reading composition, using major texts of the English canon. While the team of teachers planned for text complexity to increase each year of high school, Moore said some backtracking is needed at the start of freshman year because many arrive in ninth grade unequipped -- not for the amount of work, but for the specific kind of work that text analysis entails. She said the struggle for students to think and write critically about what they’ve read branches out into two categories: students who are not as good at reading as they think they are, and basic comprehension is lacking (many times, Moore said, this student even reads a lot of young adult books in middle school, which were enjoyable but probably too easy); and students who are able to read and think at a more complex level, but don’t take time to slow down and do a thorough job. The second type has probably been successful at school up to this point, reading text and answering multiple-choice questions like those featured on most standardized tests. But Moore said that in order to prepare for college, students need to be able to do more. Text analysis -- along with its close cousin, writing -- is a foundation of the college-prep track, and an essential skill to college success. 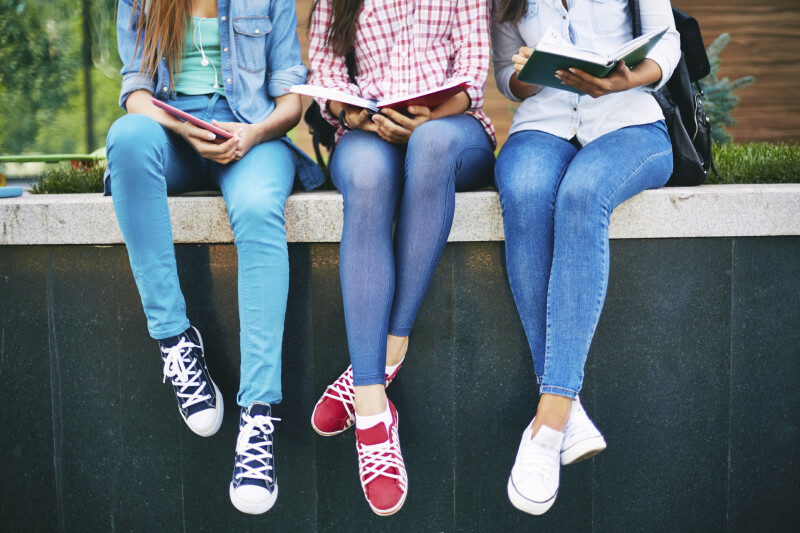 Yet a majority of high school students are unprepared: 38 percent of twelfth graders and 36 percent of eighth graders scored proficient or above in reading according to the 2013 National Assessment of Educational Progress report. Nearly one in four students who attend a four-year college take at least one remedial course (for community colleges, the numbers are much higher). Several teachers interviewed for this story, including Wolff, remarked that they believe testing culture is at least partly responsible for the decline. Yet critical reading and writing will be used in college no matter what students study, and is essential to being successful. “No matter your major -- accounting, business, marketing, history, you name it -- making connections between what you’ve read in the past, current events and what you’re reading for class is essential," Moore said.